Online, Researcher Says, Teens Do What They've Always Done In the world of social media research, danah boyd is a star. She says most adults misread and overreact to the online lives of teenagers. But as the title of her new book suggests, It's Complicated. Before Facebook, before Myspace, boyd (who uses lowercase for her first and last name) was an early adopter of the Internet. She got hooked when she was a teenager in the mid-1990s living with her family in a small town in Pennsylvania. It was "inspiring and exciting" to suddenly have access "to people who were more interesting than the people I went to school with," she says. Author danah boyd says she was going to call her new book Like D'oh!, because so many of the teenagers she interviewed think all of this is obvious. 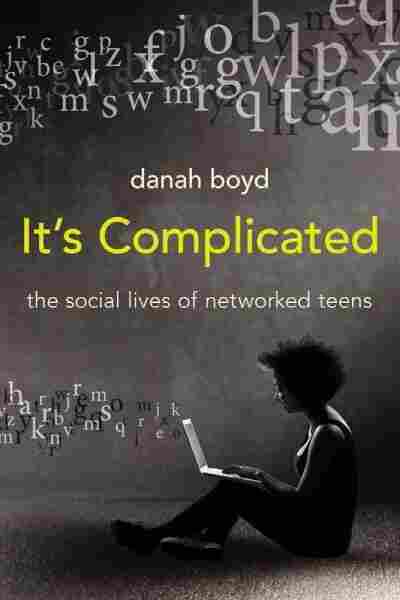 But instead, perhaps to help adults feel better, it's called It's Complicated: The Social Lives Of Networked Teens.